It’s happened people. The dream is real. 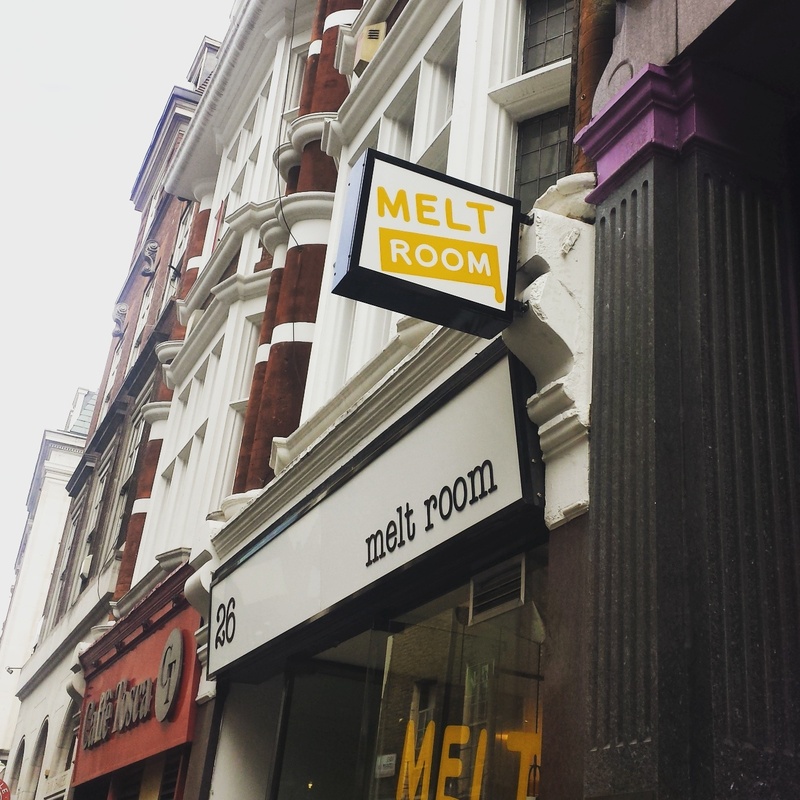 The Melt Room has finally flung it’s doors open in Soho. And it’s literally a hop, skip and a fart from my office!!! This is both very, very, very good and very, very, very bad news for my colleagues and I. We heard the rumours a few months back. 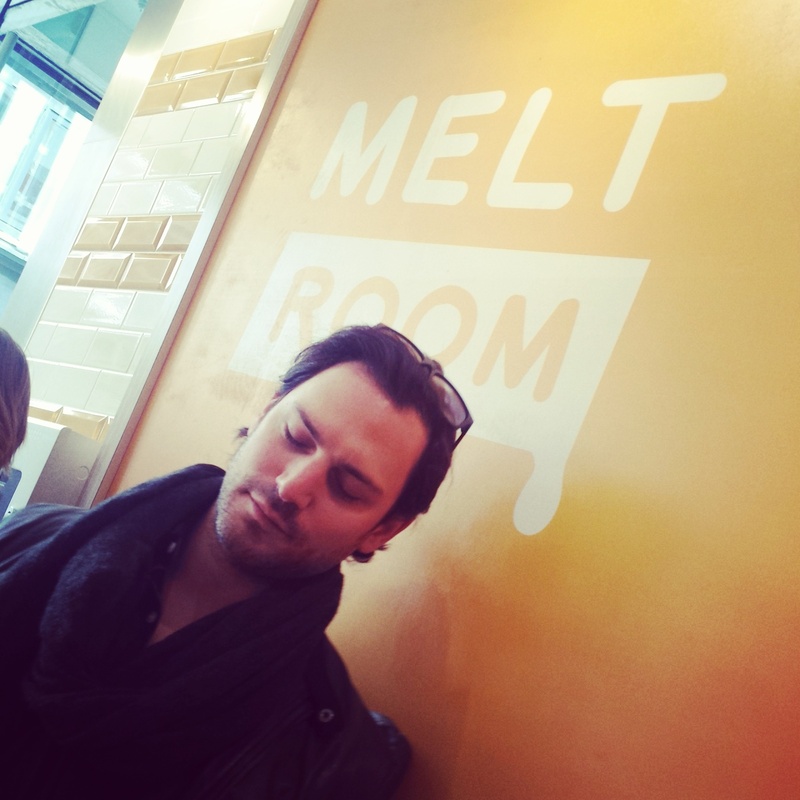 New Yorker, Andrey Datsenko would be bringing his flavour of grilled cheese toasties to London and we. just. couldn’t. wait. 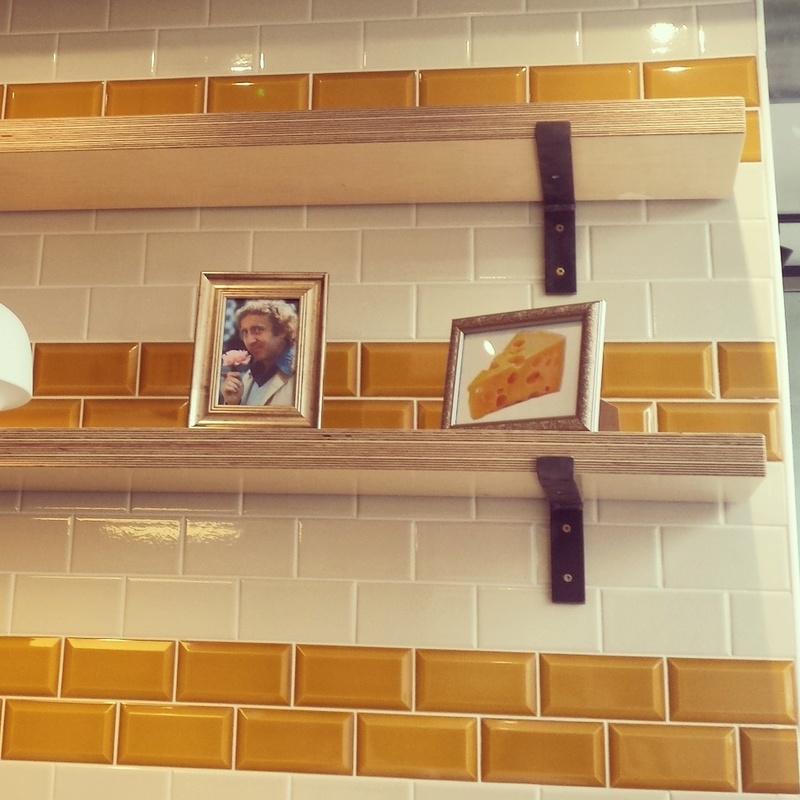 There were picture updates of the shop fit-out shared on our group whatsapp chat, screen-grabbed tweets from @meltroom and you couldn’t mention the word cheese in the office without someone whining about when it would open and, finally, last week it did. 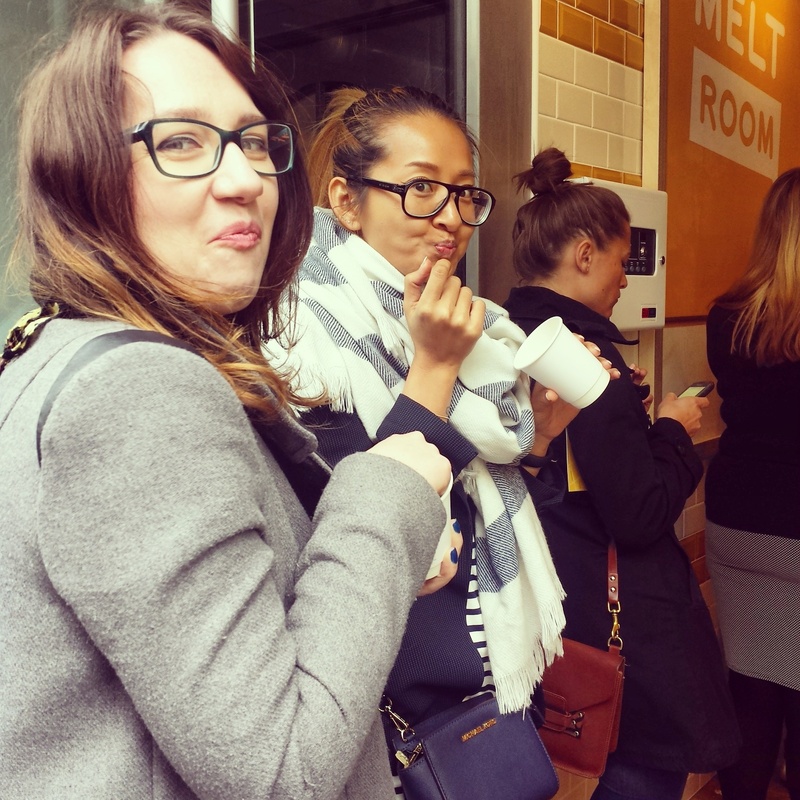 Off we trotted on a lunchtime outting, joining the hefty queue of fellow soho-ites eager to chow down some melted magicalness. 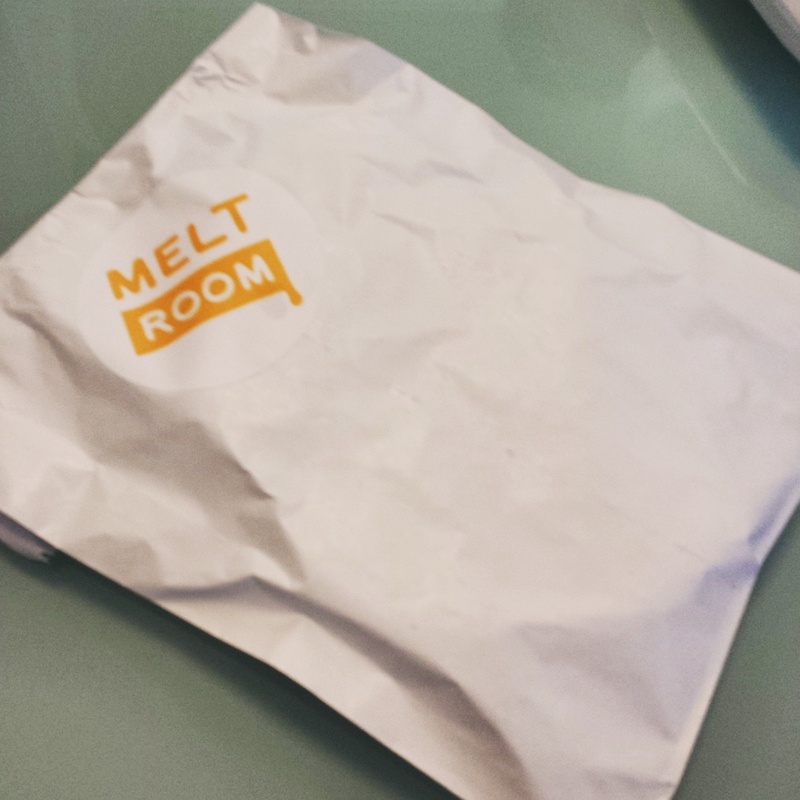 We queued excitedly and the pain of the wait eased by some freebie crisps…just a lil something The Melt Room guys were handing out to keep their new queuing customers happy. Oh you guys!! We edged into the small, uhhh, restaurant? 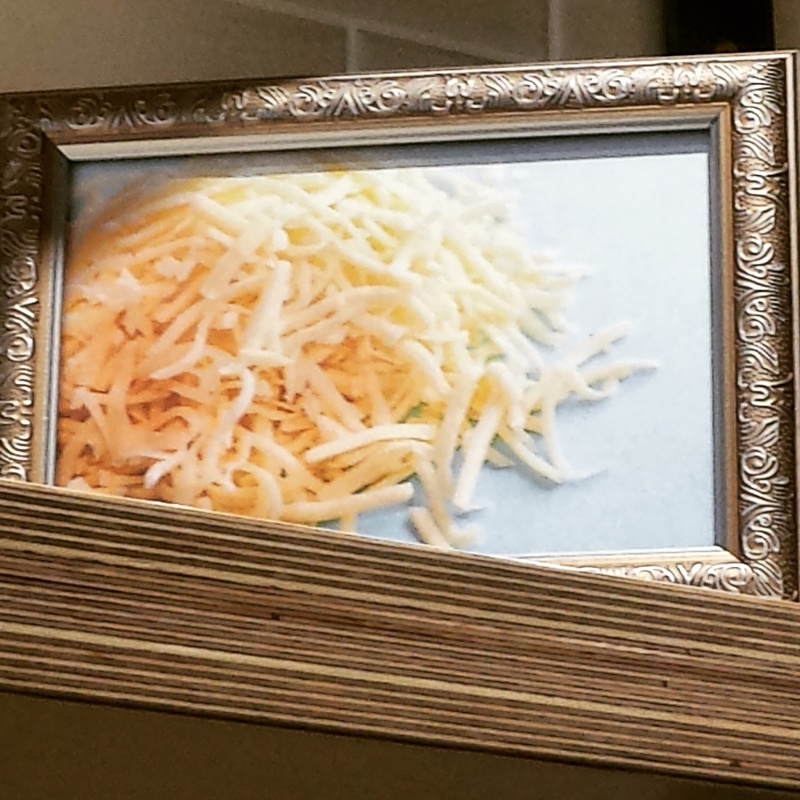 And admired the ‘cheesy’ art-work decorating the shelves. 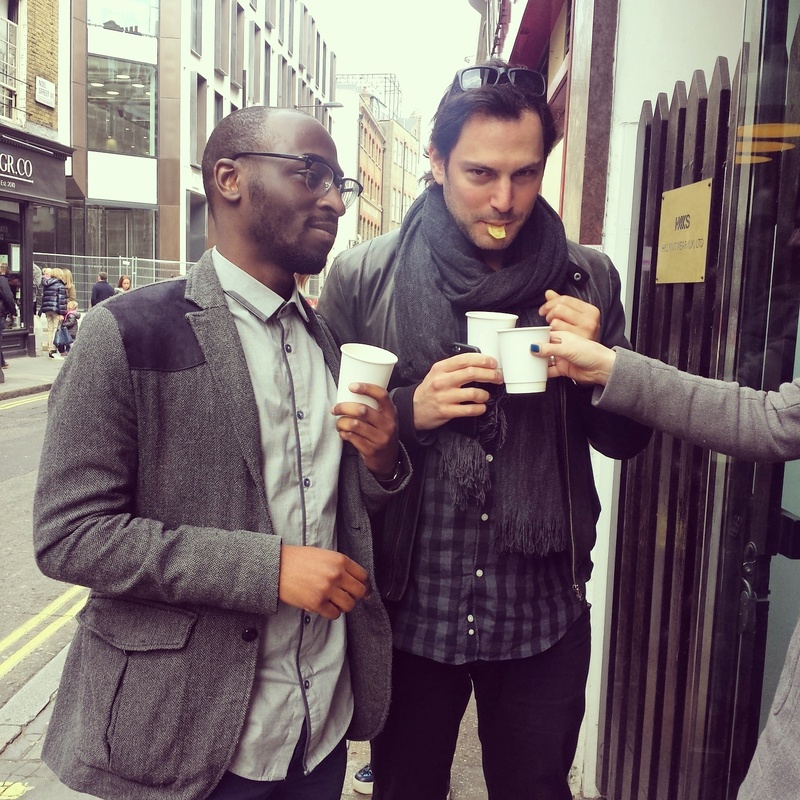 We studied the menu in depth. 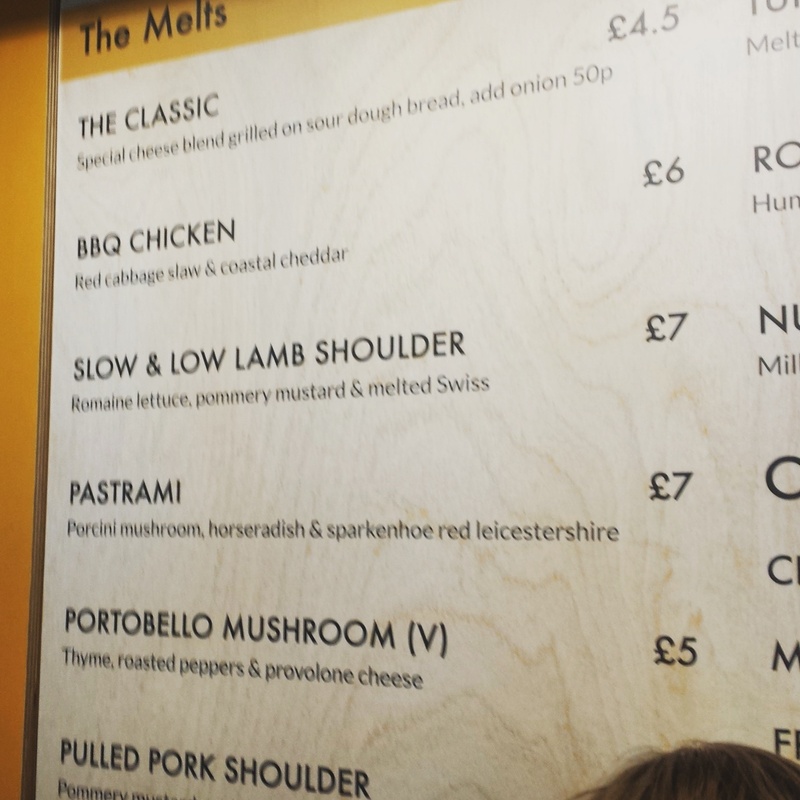 Would it be a pulled pork melt or a classic? 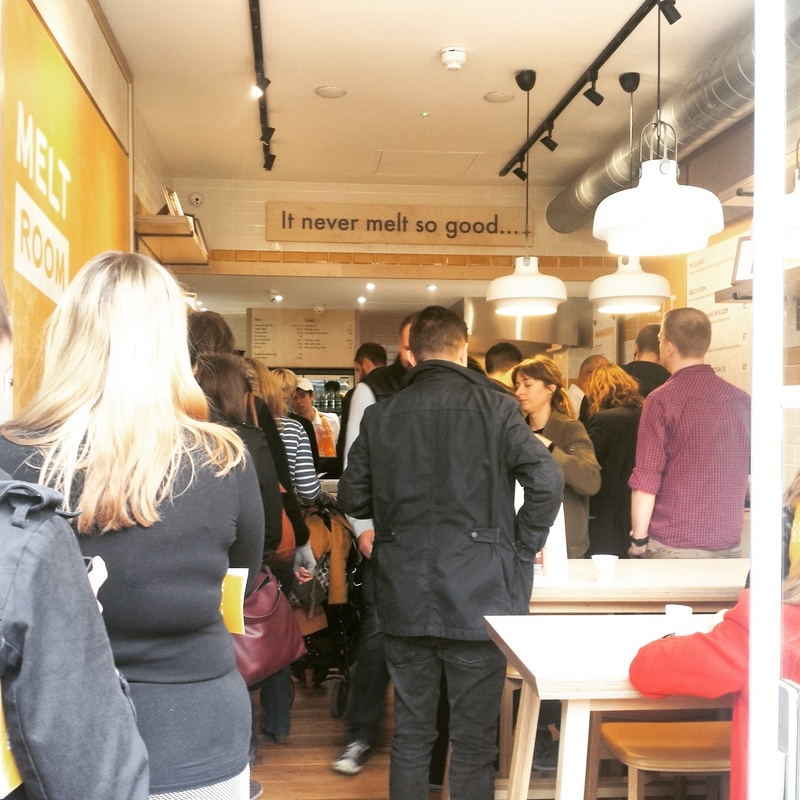 And then we were at the front of the queue! Pressure on and time to order!! I went Classic. I mean, it was my first time ‘n’ all. You can’t rush into these things. Best to start at the top and work your way to the bottom. I may have gone a bit rogue though. Pimping up my classic with an equally classic cheesy partner in crime, the tomato. 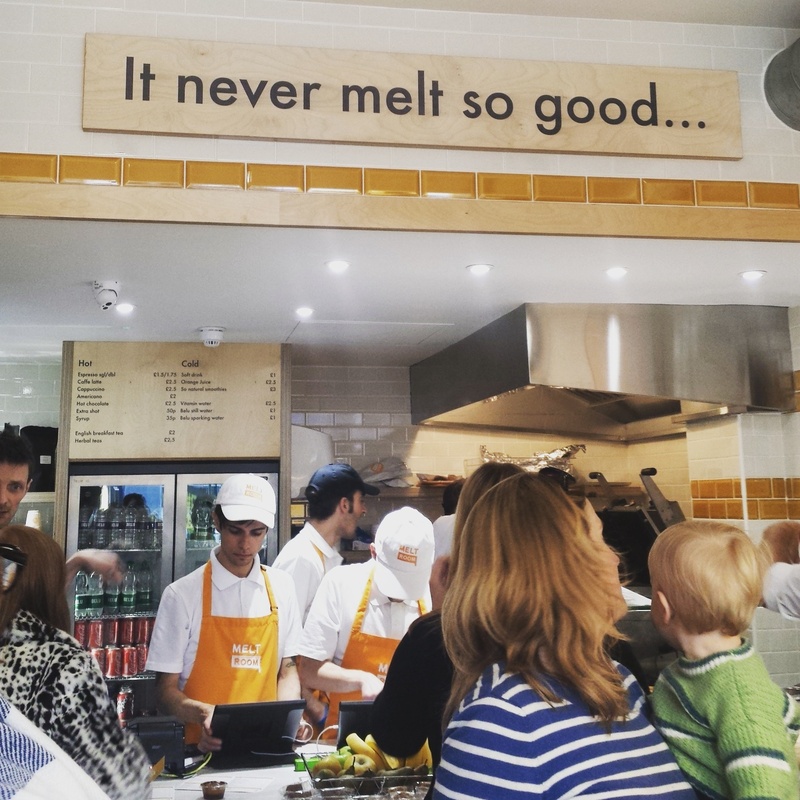 It wasn’t on the menu but The Melt Room crew were only too happy to oblige. The proof would be in the pudding. Yup. 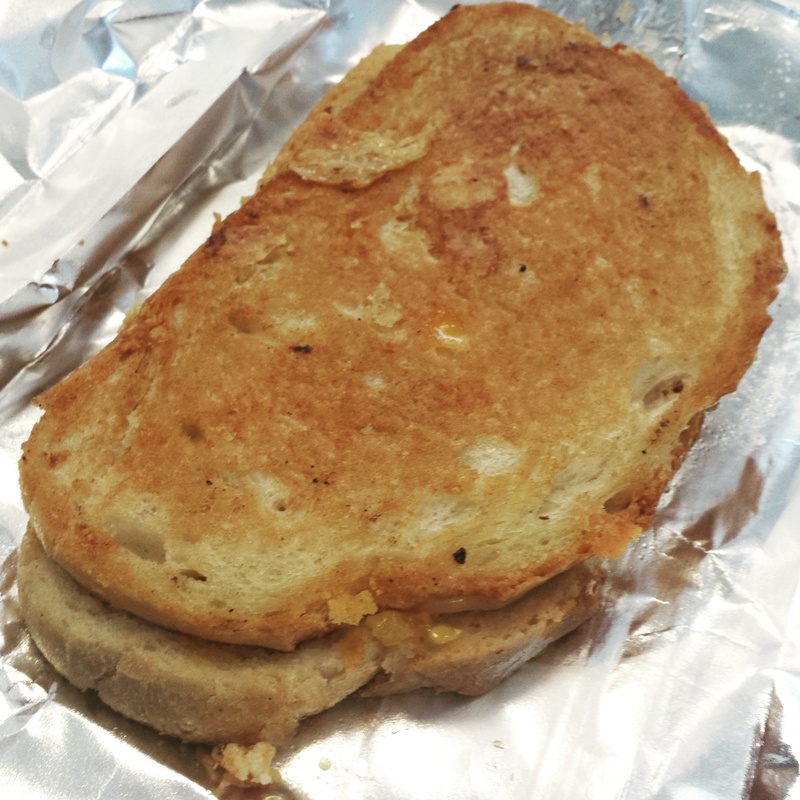 It’s a grilled cheese sandwich alright. 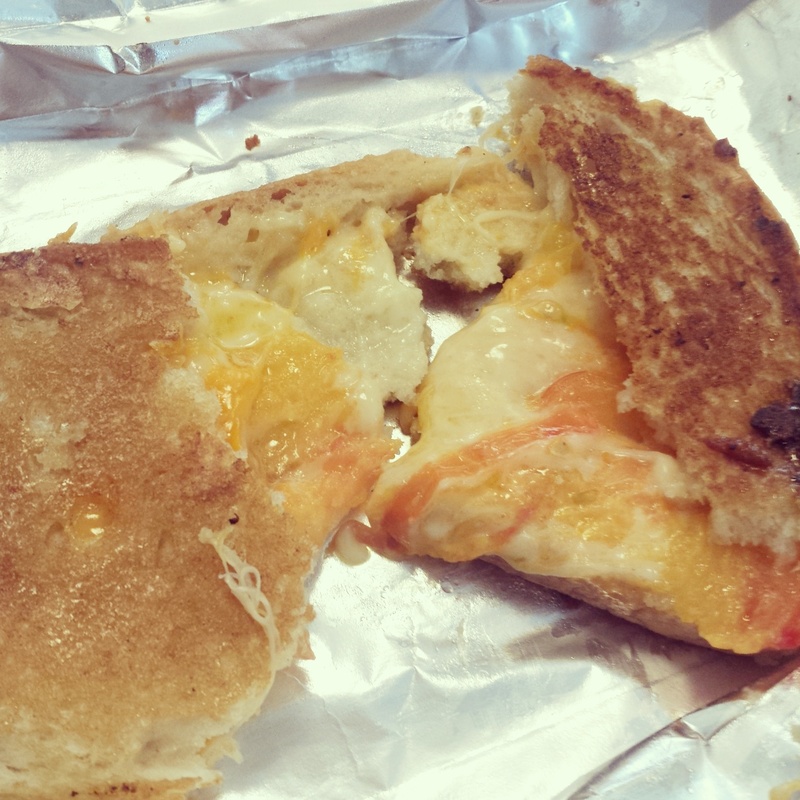 A gooey, melt in the middle, grilled cheese sandwich. I’ll admit. I think I make a better one at home BUT it was still tasty and definitely somewhere I’ll be heading back, probably when I’m hungover because what says goodbye hangover like bread and cheese. Nuthin’ I tell ya. NUTHIN!! !